How many sarees do you own? Most Indian women own them in dozens bulk of which are packed by their moms as a part of their Shaadi trousseau . Most sarees you dont use because they may have become old or not in trend anymore. Many sarees lie untouched and unused for years wasting precious wardrobe spaces, you can donate mst of them but if they are too precious or have a sentimental value involved then its time to try something fun and creative. 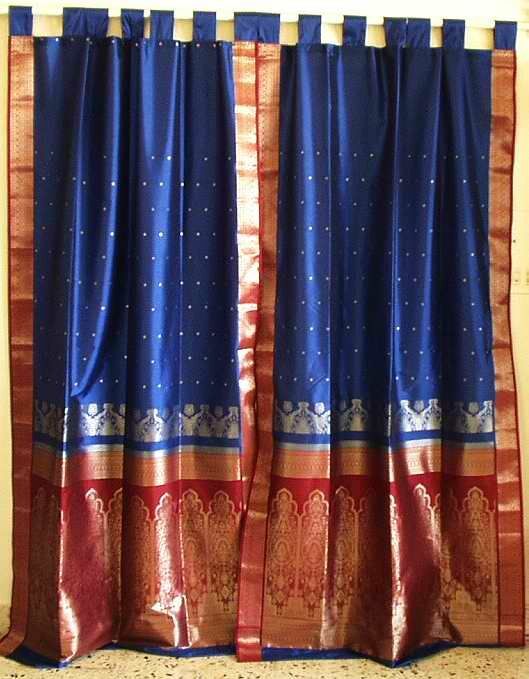 #1 New Dress: Making out new silk dresses from sarees is the best way to recycle your sarees especially your silk, georgette and brocade ones. This works best if you have some designer cells in you and have a unique dress design in mind. Even if you arent a pro designer raide the internet and find some hatke silhoutte dresses with asymmetrical hems or funky sleeves and get it made for less without spending on designer labels. For this you need a skilled tailor or visit a designer boutique. #2 Brocade Earrings: Have an old brocade saree? Then make earrings out of brocade cut outs from parts where the sari still looks new. This is super easy to make and will let you explore your creative side, just get some metal wire to make earring hooks or get them from your local bangle store , some beads, stich up and Ta Da , New pair of fun earrings to grab eye balls. #4 Window curtains: Saree drapes will look amazing giving your home a very personalised feel. Use sarees which are plain with borders for this. 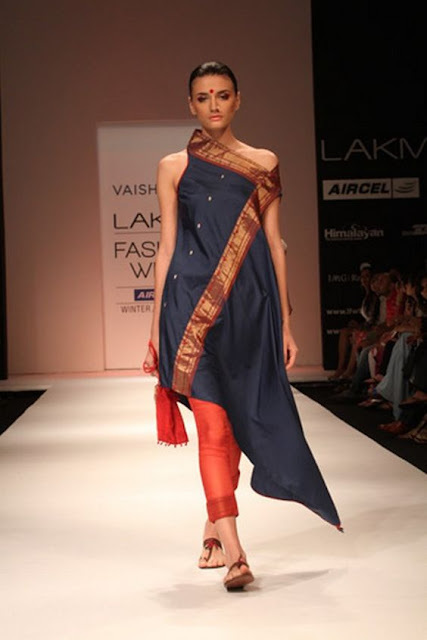 #5 Kaftan: Kaftans are the best way to beat the heat, use your crepe or cotton, linen sarees to make a new katan. 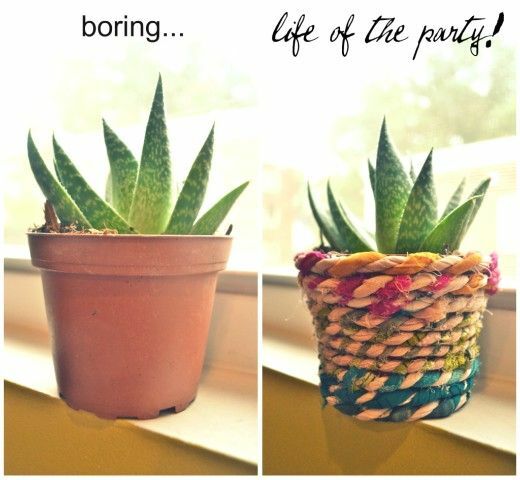 #6 Pot Decor: Have a boring look pot at your home? Make it fun and colourful by draping it with a saree rope. I just love this idea, will try it soon. #7 Cushion covers: You may already know this and my mom has tried this in past so I had to put this in here. 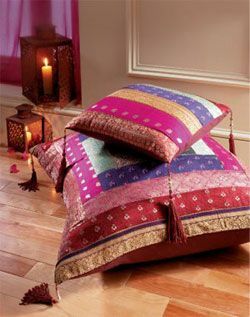 Use silk sarees or floral ones to make beautiful cushion covers, add latkans for more fun feel. 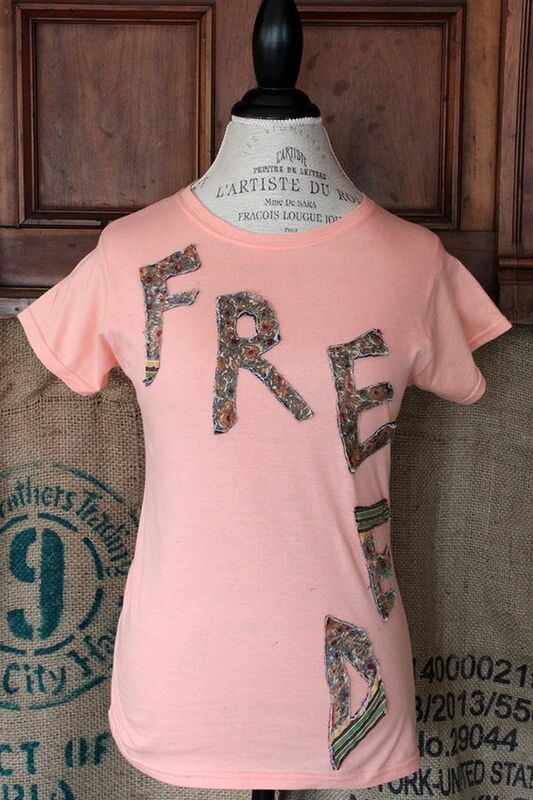 #9 Patch Tee: Use your printed saree to make your customised patched tee. Super funky this! 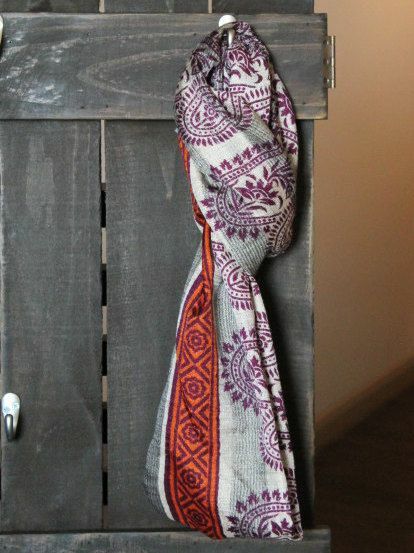 #10 Scarves and Hair ribbons: Cut your saree to stitch up colourful and rick silk scraves and hair ribbons to tie .